Microsoft Office (Word, Excel, and Powerpoint). Mick Osburn has been a draftsman for 18 years working with many versions of AutoCAD and Contouring programs to determine groundwater flow for projects on a wide variety of projects. He also has prepared design and as-built system drawings. He has performed survey events for locations of monitoring and recovery wells on more than 10 projects. Mick has been an environmental technician for 13 years with extensive field experience. He has experience in sampling groundwater, soil, free product, and air. He has sampled for PCBs, heavy metals, petroleum constituents, and other analytes at construction demolition debris landfills, former gas stations, and bulk petroleum facilities. 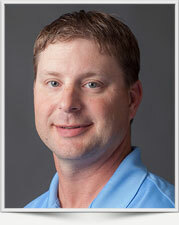 Mick has experience on more than 20 projects involving remediation systems operation, and maintenance. He helped maintain vapor recovery systems during pilot testing and for the full-scale permanent system. Ceredo-Kenova High School: College Prep Diploma, 1991. Fresh Air Training (Scott 4.5 SCBA, Scott Ska-Pak, Cascade Bottle Watch). Used hand auguring equipment during assessment activities and monitoring well installations.